The BJP Friday attacked the Congress over its Odisha chief Niranjan Patnaik being summoned by the Delhi Police in a case of cheating, and asked its president Rahul Gandhi to explain why Patnaik was "avoiding the law". "These are not allegations levelled by the media or political rivals, but based on facts and proof. Rahul Gandhi should answer people on the issue. He should explain why his state party president is avoiding the law?" 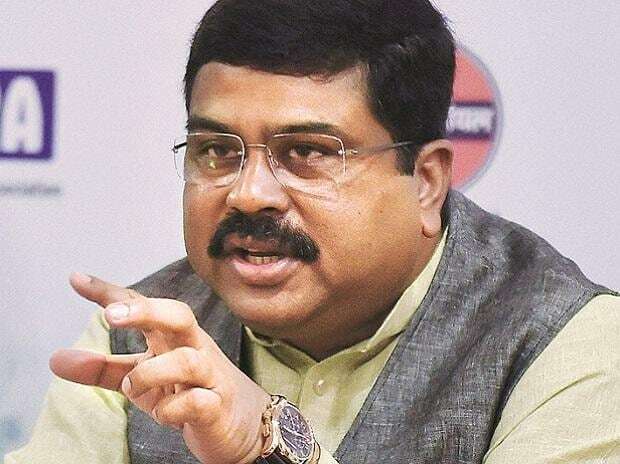 Union minister Dharmendra Pradhan, a key BJP leader from Odisha, told reporters here. The Delhi Police reportedly registered a case of misappropriation of funds and cheating against Patnaik and his son, and summoned them for questioning. Commenting on Gandhi's visit to Odisha, Pradhan said the "key culprit" behind Odisha's lack of development was the Congress. "They (Congress) have ruled the country and Odisha for a long time but still Odisha has not got its rights. The youth and the poor of the state could not get benefits of government policies. "They have looted the nation. Congress should answer to the people of Odisha. What is their view on corruption by their party members there? They are accountable to the people," he said. On the issue of the CBI raid at the residence of former Haryana chief minister Bhupinder Singh Hooda and allegations that the BJP is using the probe agencies as tool to settle political scores, Pradhan said, "Let them (Congress) say that Mr Hooda or Mr Patnaik are not involved in corruption, they are not culprits of misappropriation. Let they come out clearly. Law will take its own course.